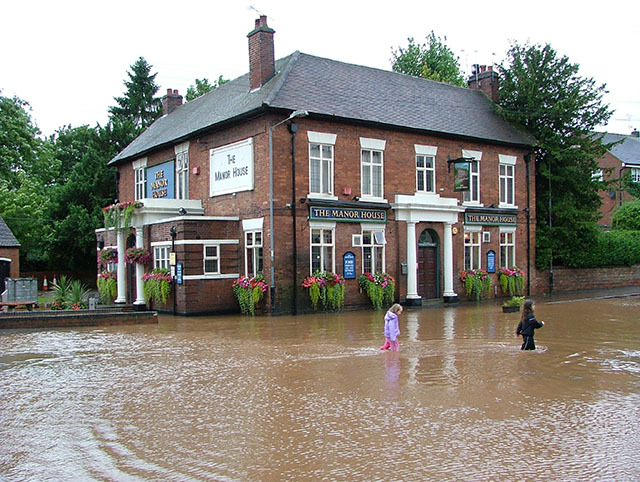 The stream behind the pub swelled to a point where it burst through a retaining brick wall, flooding the pub, the Post Office opposite and six homes. The picture shows the waters receding. © Copyright Mark Fennell and licensed for reuse under this Creative Commons Licence. This page has been viewed about 2227 times.